Batey（百帝广告） steps up China push with Grey Batey has hired former Clemenger BBDO Brisbane managing director Mark Grey as chief executive officer of its burgeoning South China operations. The appointment comes as the group makes a significant investment in the mainland, where it anticipates its philosophy of taking Asian brands to a global stage, Singapore Airlines-style, will attract China's fledgling brands. Grey will oversee the group's newly-opened Guangzhou office and the Hong Kong operation, which was rebranded from BCJ to Batey Hong Kong. 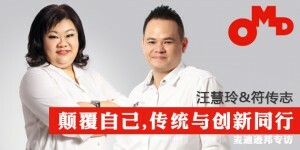 Grey is supported by newly-promoted executive creative director Pamela Chan and Bobby Feng, manager of the Guangzhou office. The new CEO is also working on pan-China business opportunities with creative director Wilton Boey and client service director Simon Lee of the Shanghai and Hangzhou offices, which opened early this year. Batey now has about 50 staff working across China. Grey said Batey was taking a measured approach, expanding in the mainland at a time when its "key clients (were) now prepared to become more involved in the China market". He cited Mercedes-Benz as it becomes more active in China's booming auto market; and SIA and the Singapore Tourism Board, which have earmarked China as a key development market for the next decade, as key drivers behind the group's push into China. At the same time, he said the mainland push would allow Batey to develop new business opportunities in key categories where the group has relevant experience, such as telecoms, tourism and leisure, financial services and retail. Grey said a key task was to transform the Hong Kong office. "The name change reflects a change of direction. Our philosophy is now more closely aligned with Batey." His priority is to develop a truly integrated offer with strong emphasis on CRM and direct marketing, drawing on his experience in setting up integrated agencies in Australia. 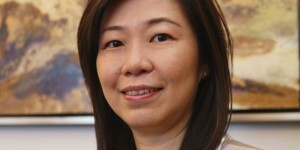 "This is an area of vast potential in the China market, which is currently under serviced." Grey has started a search for CRM and multi-skilled agency staff in South China.